Considering a career in the health sciences? There are plenty of choices. Health science encompasses a broad range of occupations and specializations responsible for 9 percent of jobs in the US economy. The need for skilled professionals in these areas is booming, with projected job growth of almost 20 percent by 2024. 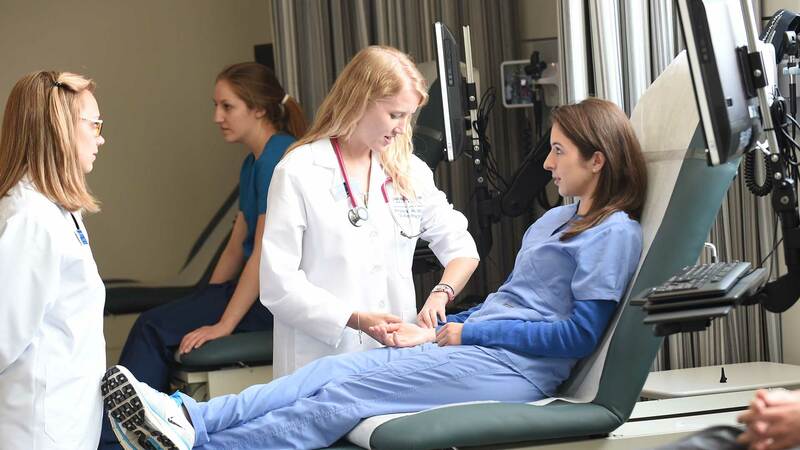 You can apply to JWU’s Master of Science in Physician Assistant Studies or Occupational Therapy Doctorate (OTD) program as a student in JWU’s Health Science bachelor’s degree program. If you meet academic and experiential eligibility requirements, you'll move past most of the competition with a guaranteed interview by Physician Assistant admissions staff as part of our Competitive Pathway Program for select undergraduate programs.